Your solution to accurate heat detection and findings sick cows. CowManager is an innovative system that monitors cow activity, temperature, eating, rumination and resting times. CowManager’s SensOor is a computer microchip within the cow’s ear tag, a unique alternative to other herd monitoring systems. The system offers fertility, health and nutrition modules, providing you with better data to make more informed management decisions. CowManager is easy to install and proven to work in all management systems. A router and coordinator on your farm collect data from each cow’s SensOor tag. The information is made available through the CowManager program on your farm computer and mobile devices. How will CowManager improve the way I manage my herd? Reproductive efficiency, less death loss and ration feedback. Identifies the best time to A.I. Why are the world’s best dairies using CowManager? Progressive dairies are implementing CowManager to decrease costs and increase profits. To learn more about CowManager contact your WWS representative.  World Wide Sires abide by the AHDB Dairy & Holstein UK established Code of Advertising.